Looking for an amazing Italian restaurant in Trevose, PA? Let the Bertucci’s team take you to Italy with authentic meals made using real recipes from Italy. We create every item on our menu with dough made from scratch, tomatoes grown solely for our eateries, and roasted tomatoes. Whether you choose to place an order for one of our renowned brick oven pizzas, a traditional pasta creation, or a sweet little something from our dessert list, you will be thrilled you chose to experience Bertucci’s. Bertucci’s offers a variety of Italian specialties on our menu, so there’s sure to be something for everyone in your household. We’re proud to use the freshest ingredients in every dish that is cooked in our kitchen. The brick oven pizzas for which we are most well-known go through a rigorous preparation process, with every batch of dough “resting” for two days to ensure it has the best possible texture. No matter what you decide to try next time you visit our Trevose restaurant, you are sure to be impressed with the quality of your meal. 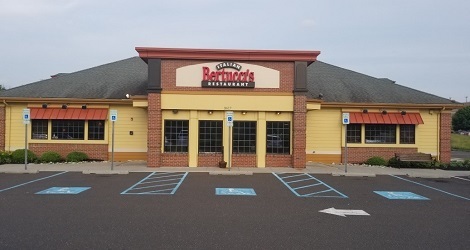 Whether shopping at the Neshaminy Mall or catching a movie at AMC Neshaminy 24, Bertucci’s is a great spot to come in and grab a bite. Join us for a casual lunch or come in for a romantic dinner. If you’re too busy to relax at Bertucci’s, order online or call ahead for 2Go or delivery. We also have catering available for the holidays, family reunions, holiday gatherings and so much more.